For several weeks, we detected (and blocked) an attack targeting one of the largest municipalities in the U.S. that bypassed Office 365 default security, using a simple yet extremely devastating form of malware contained in an .ace file. Although using .ace files to spread malware is a tactic commonly used by hackers, O365's defenses did not flag these as malicious and let them through. We are happy to update that this hole in O365 seems to have been fixed this week. What is an .ace File? .ace or "ACE" is a data compression file format, similar to a .zip, mostly used by WinAce, an archiving program created by Windows. Where .zip and .ace files differ are in speed and compression ratio: .ace files are compressed much faster with a higher compression ratio. The other notable difference is in their commonality. The .zip file type is much more common, and outside of WinAce, it is rare to see an .ace file used. How Are They Used in This Attack? In this particular attack, an email spoofed to looked like it was a tracking notification from DHL was sent to an executive level government employee working for a major US city. In reality, the notification contained an .ace file as an attachment that, when opened, contained a trojan (SRC file) inside of it. This method of launching a trojan upon the opening of a compressed file is a technique known as Archive Inflation, since the compressed archive file is inflating into something much larger (and in this case, malicious) when opened. What Does The Attack Do? 1. Searches for Cached Passwords. Looking through the browsers cache, the trojan attempts to pull saved passwords from the user's accounts. This can be anything from email passwords to banking logins. If no passwords are stored anywhere, then hacker will then use a method called session hijacking. By taking all the cookies from the user's browsers, the hacker can get into all of the accounts without the need for a password. Since the cookies tell the browser that it is a continued session, the hacker can go into the user's email and banking sites without ever being prompted for a password. To the browser, it will appear as if they have always been logged in. Why Did Microsoft Miss this Attack? This attack is a clear example of the first type (while BaseStriker is a good example of the second), as it probably got through due to an update of Microsoft's security capabilities, which excluded the outdated .ace file off as a potential threat given the outdated nature of the attack style. This is a similar mindset to those who do not think vaccinating for smallpox is important because they haven't seen a case of smallpox in decades. But experience shows that it is important to vaccinate against smallpox and it is important to scan for malicious .ace files. Note: As of our most recent tests, Microsoft is now protecting against these attacks. 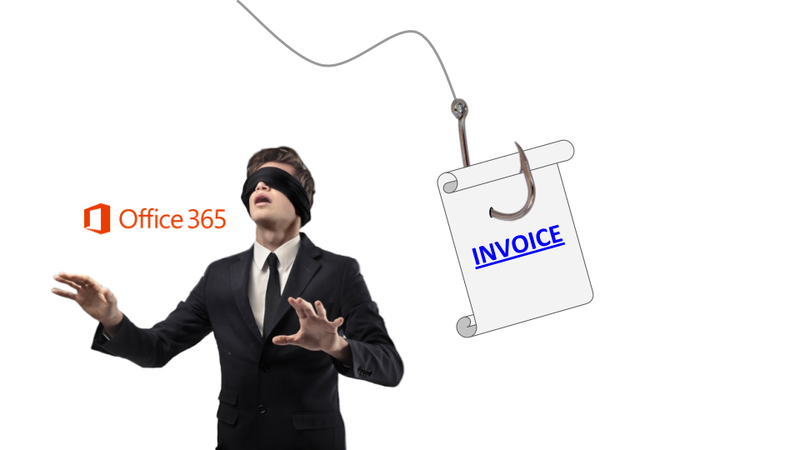 Fake Invoices: Why Does Office 365 Keep Missing These Phishing Attacks?